Createspace Independent Publishing Platform, 9781461083955, 176pp. 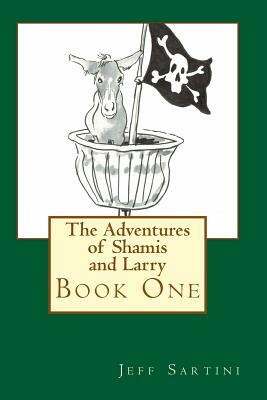 Join Shamis and Larry as they embark on their very first quest. Accompanied by a One-Headed Monkey and a Magical Mule, they head off into parts unknown, where they face such perils as swamp pirates, an evil genius, and bad poetry. Of the three, bad poetry is probably the worst. Although it was written with a younger audience in mind, this book should appeal to a wide range of ages. Anyone who appreciates quality monkey-based humor should enjoy this light-hearted read. Anyone who doesn't should at least appreciate the fine beverage coaster qualities of this book.